Hooray! Die Strickjacke METTE-MARIT auf dem Blog spruced.us von Marlene Sørensen und James Castle! Hooray! 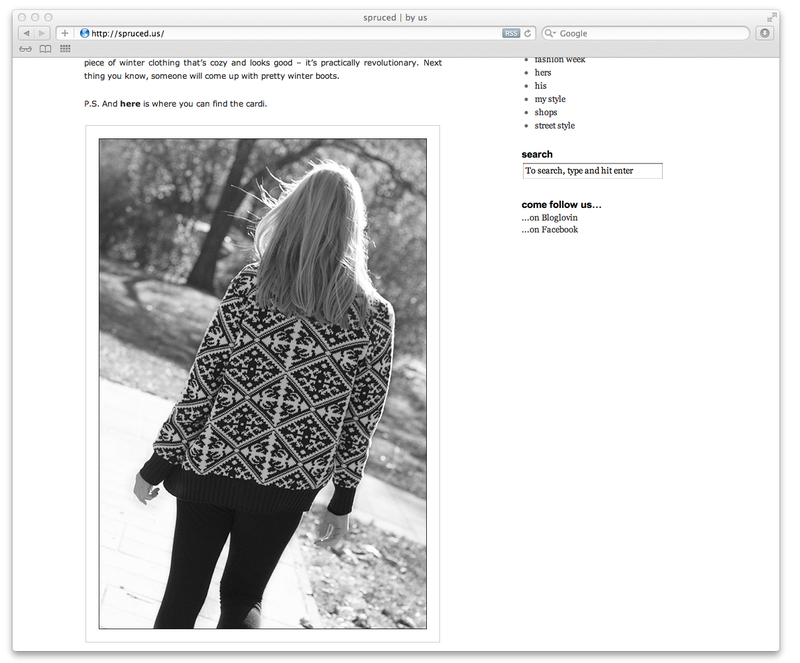 The knitted cardigan METTE-MARIT was featured on the fashion blog spruced.us by Marlene Sørensen und James Castle!